We are excited to announce that following on from a highly successful launch in 2018 we will be holding this 5 mile event in July for 2019. This should guarantee good weather for the PB potential route. Please follow this link to enter via Entry Central. Many thanks to all the runners who supported our inaugural event, we hope you enjoyed it as much as we did. Full race results are now available via the LPS events results page, please follow this link to view the results. Following on from the success of the Heddington 5k series this new 5 mile event has been carefully devised to provide you with another fast & flat 5 mile race that all runners hunting down a PB will love. For race updates, latest news and more please like the designated CB5 Facebook Page. Setting off circa 250m beyond the Compton Bassett Benson Hall (SN11 8RQ), the route is flat! 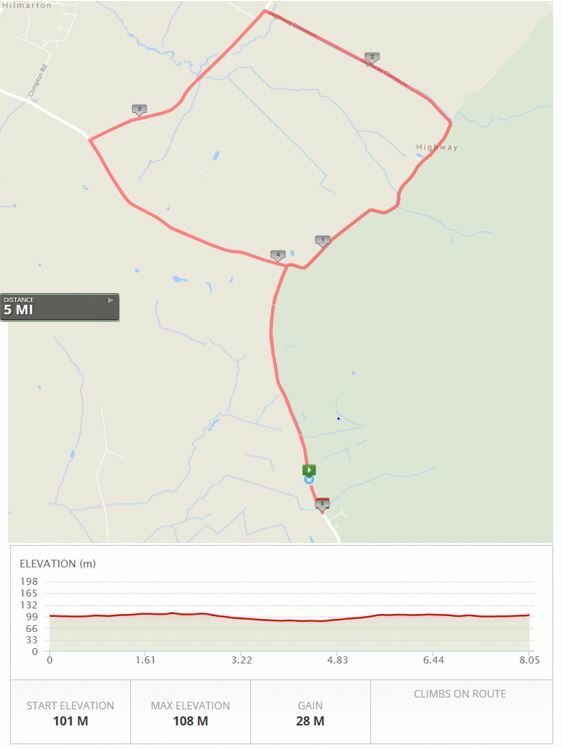 The first section of the route will see you run out on the minor C15. Compton Basset road towards Highway. At circa 0.8 miles you will leave this road and turn right to begin the next section of the route: the ‘Highway Loop’. 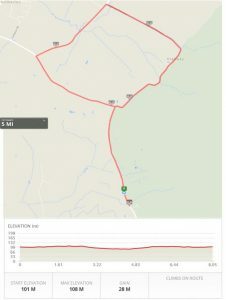 This loop is a quiet unclassified country road that is, most importantly, nice and level to ensure that you settle into your rhythm for the next couple of miles. As you reach half distance you will rejoin the C15, Compton Bassett road, albeit further up than when you initially left it. The route then continues along this road, turning left again at circa 3.2 miles to contnue along this road until at just over 4 miles where you will bear right to remain on the road that you left it earlier to begin the final mile towards the finish which is back at the Benson Hall. We, at Calne Running Club, hope you enjoy this route. It has been carefully planned to lead on from our ever successful Heddington 5k series and will help ensure that fast, flat and enjoyable races are in your diary. The race has an ARC race permit and a certificate of course accuracy, together with suitable medical cover and plenty of water at the finish. As with our other races, chip timing is courtesy of LPS Events. Compton Bassett Benson Hall, Briar Leaze, Compton Bassett, Calne, SN11 8RQ. Free parking is available in two locations within 0.5 miles of the start courtesy of a local farmer. Please be aware that a lack of courtesy and parking elsewhere could jeapordise the future running of the event. Results will be published on LPS Events as soon as possible after the race is completed. To take place promptly after the last person has finished. Please be polite to all marshals on the course, all pedestrians and other road users. Should you withdraw from the event for any reason, please alert one of the event staff and return your racing bib to them. Follow the highway code and ARC rules at all times.